The element of water is vital to our existence and for as long as man has chosen to live inside a structure, sheltered from the elements; we have been battling to keep water out. It should come as no surprise that given the ever growing population and the need for housing, the constant changing and shifting of the earth, be it natural or man-made, that we have problems keeping water where it belongs, not where it chooses to go. 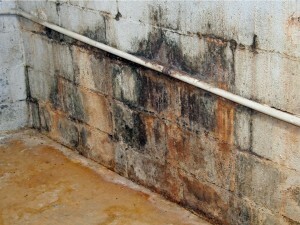 Be that as it may, we often hear about homeowners who have had water damage repeatedly in their basement family rooms. Recently we heard of two families who have had their family rooms damaged and repeatedly repaired through homeowner’s insurance claims. In both cases the insurance company stated this would be the last time they would cover the damage. After three insurance claims one family chose not to use the basement as a family room any longer, due to sheer frustration. That decision will probably present concerns when it is time to sell the home. Perspective buyers will undoubtedly question the half-finished family room and be concerned with water and mold issues. These families have been searching for a way to stop their leaking basement from being a constant issue. A leaking basement can be an extremely frustrating problem; damaging costly flooring, furniture and electronics; followed by the terrible issue of mold! Damage keeps occurring and insurance companies keep paying until they stop; then what? Surprisingly the answer to how to stop a leaking basement isn’t all that complicated. Sure you can try to waterproof your basement and often that works, for a while. But a leaking basement often makes its expensive comeback. Doesn’t it make a lot more sense to correct what is causing the issue instead of just putting a Band-Aid on the wound? If you answered yes, to correcting the issue that is causing your leaking basement then read on. Swales, gutter extensions, drainage boxes and grade correction are just a start to help you re-direct water away from your house and this is the solution in the very simplest of terms. To correct the issue of a leaking basement you must RE-DIRECT WATER AWAY FROM YOUR HOUSE! Sounds simple enough but first you must evaluate where the water is coming from, how much water it is, and just as important where to re-direct this water to. Out to the street seems obvious but environmentally speaking it is not your best strategy. It is best to retain storm water, whenever possible, on your own property and let it absorb into the ground, just not along your homes foundation. There are also many creative ways to re-direct water, changing topography, low boulder retaining walls, soil stabilization such as planting groundcover or lawn alternatives are all creative solutions to filter the water away from your basement, driveway or even your children’s play area. What if you can’t find the water source or issue that is causing your leaking basement; here are some common culprits that could be contributing to your issue: air conditioner/heat pumps, plumbing leaks, roots from trees or large shrubs, window wells, clogged rain gutters, or improper grading near the homes fountain. 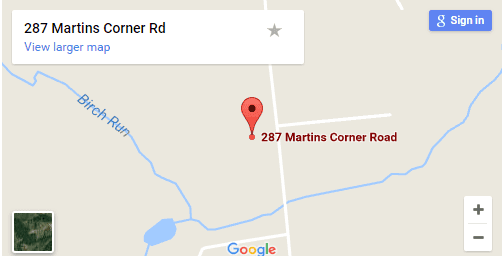 How much water is coming from the neighbor’s property? Do you have some creative solutions to this issue? Will there be maintenance involved, and if so, what and how often? As with any repair to your home and property, ensure proper licensing of your contractor and always ask for references. If they aren’t able to provide them, it might be best to keep searching. A leaking basement is no laughing matter. It can lead to dangerous mold and possible structural damage. Dealing with the issue quickly ensures the most beneficial outcome. And lastly, don’t assume just because everything is functioning now, it will always stay that way. Grades can change gradually over time due to erosion or soil accumulation, so drainage solutions occasionally will need to be maintained.